Petersfield beekeepers are blessed by living in an area of very varied forage. 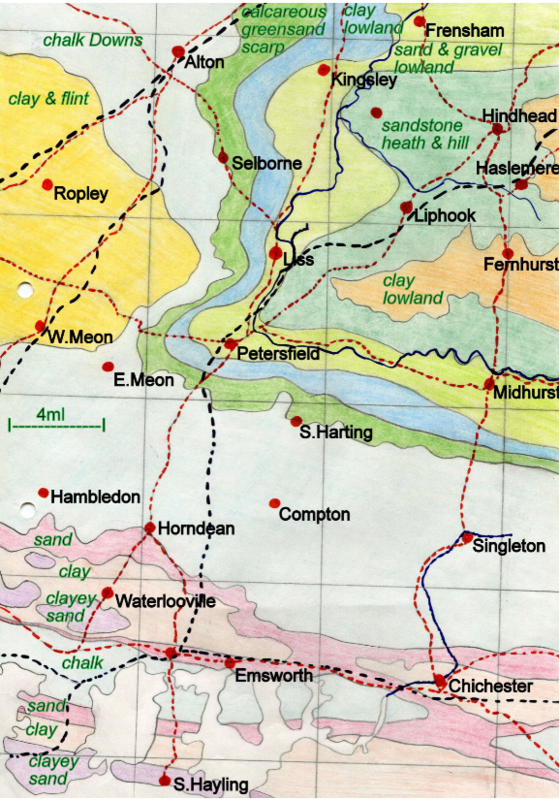 Situated at the western end of the Weald where the North and South Downs meet, soil types and landscape vary from alkaline to acid, river valley and meadow to wooded hillsides, heath, downs and agricultural land. Settled since prehistoric times and at the junction of two major travel routes, man has also had an impact on the plants growing in our area. Our first fine, warm afternoon. The bees are busy on all the spring bulbs, shrubs & small trees. In my garden that includes several Hamamelis Mollis and a large Parottia the deep maroon flowers of which they are working for a buff pollen.